The 173rd Field Artillery Battalion, U. S. Army, remains one of the forgotten units of World War II. 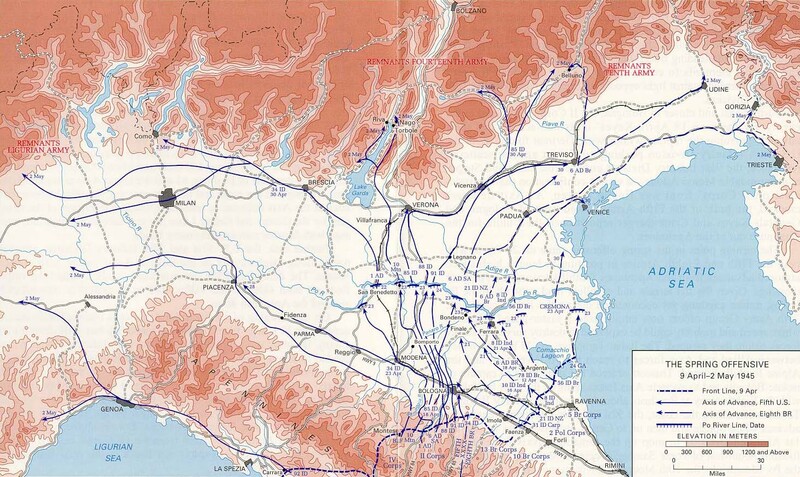 Published histories of the Italian Campaign as well as internet sources rarely if ever mention it. This site accordingly is designed to provide a brief, basic introductory history of the battalion. The narrative is drawn largely from a hard-to-find volume, the official history of the unit, Capt. Benton Burns’ 173rd Field Artillery Battalion (1945). Interested readers should consult Burns for more information. The origins of the 173rd Field Artillery go back to two groups on civic-minded men in nineteenth-century Milwaukee. In September 1884, twelve men joined together to form the nucleus of what eventually became the 1st Light Battery, Wisconsin National Guard. In 1916, with tensions rising along the border with Mexico and war raging across Europe, the War Department created the 1st Field Artillery, Wisconsin National Guard. The 1st Light Battery became Battery A of the new unit. At the same time, the National Guard raised two new batteries, Battery B in Green Bay and Battery C in Racine. Battery A deployed to the Mexican border, where it served from June until October, 1916. 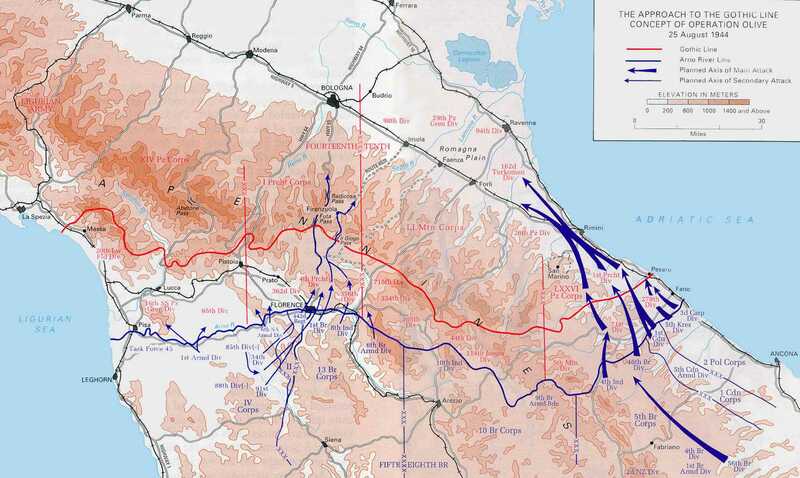 The unit remained at Bagnoli until December 13, when it moved forward and went into line during a rainstorm near the town of Roccaravindola, on the banks of the Volturno River. At 16:17 hours the next day, Battery A opened fire, marking the battalion’s first action. Initially the unit’s three batteries took part in harassing and interdiction fire. On December 21, the 173rd FA hurriedly moved to a plateau near Rocchetta to support the 2nd Moroccan (Free French) Infantry Division in an anticipated push against the enemy. There the rookies of the 173rd discovered that they formed nothing less than the linchpin between the Fifth Army and the British Eighth Army to the east. Indeed, with neither army claiming responsibility for the position, the battalion remained perilously alone, without infantry support, until January 5, 1944, when a detachment of French North African Berbers known as Goumiers began nightly patrols. Between the still-rainy weather and steep terrain, Batteries A and C were not on line until Christmas Eve, and Battery B required two additional days. All the men celebrated the holiday on the 26th because, as Captain Burns remembered, the turkeys sent to them were so frozen that they required an extra day to thaw. The rain finally halted that day as well, but the temperatures also fell. Only half the men had overshoes, but all received the 5th Army patches they would wear for the remainder of the war. As a headquarters 155 MM division, the battalion would be assigned to no division permanently, but rather shifted to wherever its fire was most needed. On December 28, the battalion began to pound the Germans’ Bernhardt Line at the town of Atina, hitting targets up to 24,000 yards away. German counter-battery fire initially proved ineffective, but on December 30 a German round killed three men on Battery A’s number 3 gun and wounded several others. The next day a blizzard swept across the ridge, blowing away the men’s tents and burying the position in snow. The winds meanwhile were fierce enough to blow one of the unit’s two observation planes 100 yards to the rear, even though it had been staked to the ground, and bend the wings of the other. Enemy fire continued to hit the battalion’s position as well, and it grew in intensity early in January, mortally wounding a private in Battery C on the ninth. The battalion fell back to Vicenza, where on May 2 the men learned that the Germans had surrendered. In the immediate aftermath, the battalion’s initial assignment was to round up and guard German prisoners before escorting them to Modena. Duties were otherwise light, and many of the men visited nearby Venice or Milan. At the end of May, the battalion moved to San Martino, outside of Verona, from which it continued to guard and transport prisoners until mid -June. Orders finally came relieving the battalion and ordering its disbandment. It fell back to Florence, minus men who did not have enough points to return home yet. Many anticipated reassignment to units headed to the Pacific theater, notably the 88th Division, until that part of the war ended on August 14. Slowly the battalion evaporated, men with the highest points leaving first, until the battalion officially ceased to exist on September 2, 1945. It left a record of over 500 days in combat and 129,877 rounds fired, It endured counter-battery fire 190 times. Pvt. Albert L. Sorrell won the Silver Star as a member of the 173rd FA, while 57 men won the Bronze Star. The unit lost twelve men killed and additional 46 wounded. Throughout the conflict the battalion lived up to the motto that appears on its units’ insignia: With Force and Spirit. Capt. Benton H. Burns, et. al, History 173rd Field Artillery Battalion (N. p.: n. p., 1945), 1-2; First Battalion, 121st Field Artillery, http://www.globalsecurity.org/military/agency/army/1-121fa.htm; The 32nd ‘Red Arrow’ Veteran Association, The 32nd Division in World War II, “The Red Arrow” http://www.32nd-division.org/history/ww2/32ww2-1.html. I used the copy of Burns held by the U. S. Army Military History Institute, Carlisle, PA.
 Burns, History, 28-39; Clayton D. Laurie, Rome - Arno 1944 (Washington: Center for Military History, 1994; online version, http://www.history.army.mil/brochures/romar/72-20.htm, updated 2003). Burns, History, 44-48; Dwight D. Oland, North Apennines (Washington: Center for Military History, 1996; online version, http://www.history.army.mil/brochures/nap/72-34.htm, updated 2003). Burns, History, 55-60; Thomas A. Popa, Po Valley (Washington: Center for Military History, 1996; online version, http://www.history.army.mil/brochures/po/72-33.htm, updated 2003). Kenneth W. Noe is Draughon Professor of Southern History, Auburn University. His great-uncle, Pfc. Bennie Noe, served in Battery B, 173rd Field Artillery. All comments or corrections should be directed to <noekenn@auburn.edu>.